Match ends, Real Betis 1, Milan 1. Second Half ends, Real Betis 1, Milan 1. Andrea Bertolacci (Milan) is shown the yellow card for a bad foul. Corner, Real Betis. Conceded by Ignazio Abate. Attempt missed. Andrés Guardado (Real Betis) left footed shot from outside the box is too high. Assisted by Giovani Lo Celso. Substitution, Milan. Andrea Bertolacci replaces Hakan Calhanoglu because of an injury. Delay in match Hakan Calhanoglu (Milan) because of an injury. Attempt blocked. Sergio Canales (Real Betis) left footed shot from the centre of the box is blocked. Assisted by Andrés Guardado. Attempt missed. Andrés Guardado (Real Betis) left footed shot from the left side of the box misses to the right. Attempt saved. Cristian Tello (Real Betis) right footed shot from the right side of the box is saved in the bottom left corner. Assisted by Giovani Lo Celso with a through ball. Attempt missed. Júnior Firpo (Real Betis) left footed shot from the left side of the box misses to the right. Assisted by Loren Morón. Attempt missed. Fabio Borini (Milan) left footed shot from the left side of the box is high and wide to the right. Assisted by Suso with a cross. Substitution, Milan. Alessio Romagnoli replaces Mateo Musacchio because of an injury. 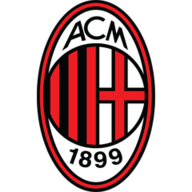 Delay in match Mateo Musacchio (Milan) because of an injury. Mateo Musacchio (Milan) is shown the yellow card for a bad foul. Substitution, Milan. Ignazio Abate replaces Diego Laxalt. Substitution, Real Betis. Andrés Guardado replaces Joaquín. Attempt missed. Marc Bartra (Real Betis) right footed shot from outside the box misses to the right. Attempt blocked. Cristian Tello (Real Betis) left footed shot from outside the box is blocked. Assisted by Joaquín. Attempt saved. Fabio Borini (Milan) right footed shot from the right side of the box is saved in the centre of the goal. Assisted by Franck Kessié. Goal! Real Betis 1, Milan 1. Suso (Milan) from a free kick with a left footed shot to the bottom left corner. Corner, Milan. Conceded by Pau López. Attempt saved. Suso (Milan) left footed shot from outside the box is saved in the top left corner. Corner, Milan. Conceded by Cristian Tello. Attempt missed. Giovani Lo Celso (Real Betis) right footed shot from outside the box is too high. Assisted by Sergio Canales. Diego Laxalt (Milan) wins a free kick in the attacking half. Offside, Real Betis. Sergio Canales tries a through ball, but Joaquín is caught offside. Foul by Cristián Zapata (Milan). Corner, Real Betis. Conceded by Fabio Borini. Offside, Milan. José Reina tries a through ball, but Patrick Cutrone is caught offside. Attempt missed. Mateo Musacchio (Milan) header from the centre of the box misses to the left. Assisted by Suso with a cross following a corner. Corner, Milan. Conceded by Marc Bartra. Second Half begins Real Betis 1, Milan 0. First Half ends, Real Betis 1, Milan 0. Attempt missed. Patrick Cutrone (Milan) header from very close range misses to the left. Assisted by Fabio Borini with a cross. William Carvalho (Real Betis) wins a free kick in the attacking half. Attempt missed. Giovani Lo Celso (Real Betis) left footed shot from outside the box misses to the right. Assisted by Sergio Canales. Attempt missed. 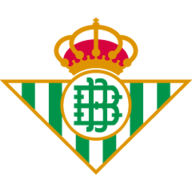 Antonio Sanabria (Real Betis) right footed shot from the centre of the box is close, but misses to the right. Assisted by Júnior Firpo. Attempt blocked. Franck Kessié (Milan) left footed shot from outside the box is blocked. Assisted by Hakan Calhanoglu. Offside, Milan. Diego Laxalt tries a through ball, but Suso is caught offside. Goal! Real Betis 1, Milan 0. Giovani Lo Celso (Real Betis) left footed shot from the centre of the box to the bottom right corner. Assisted by Júnior Firpo. Attempt missed. Hakan Calhanoglu (Milan) right footed shot from outside the box is close, but misses the top right corner. Assisted by Ricardo Rodríguez.